As evaluation officer of HWTAC, Mr. Martiniano is responsible for designing and implementing evaluations of HWTAC—including overall project goals and objectives; dissemination strategy, the website; outreach efforts; and impact of HWTAC’s technical assistance on health workforce planning—as well as for the individual technical assistance initiatives in terms of both process and outcomes for the recipients. Mr. Martiniano oversees the development of feedback instruments used in the evaluation of the website and other materials developed and disseminated by HWTAC and those used to garner feedback from technical assistance recipients. Mr. Martiniano works closely with Dr. Armstrong and Ms. Gaul in the performance of these duties. 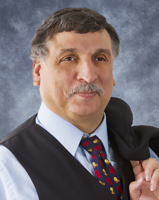 Mr. Martiniano has extensive experience in survey design, data collection and analyzing large data sets, including all of the elements of the NYHWDS, the American Community Survey and other U.S. Census Bureau data sets, and various U.S. Bureau of Labor Statistics data sets. As senior program manager at CHWS, Mr. Martiniano has lead a number of evaluation projects, including evaluations of staff training in nursing homes and home health agencies; regional implementation of HIT solutions; efficacy of statewide programs, specifically the distribution of H1N1 vaccine by the New York State Department of Health; and implementation of a regional health information organization (RHIO).